WELCOME TO THE WEBSITE OF THE UNITED REFORMED CHURCH IN THE ISLE-OF-MAN. The United Reformed Church was formed at the union of the English Presbyterian Church, the English Congregational Church and the Churches of Christ. If you are from a Scottish or Irish Presbyterian background then you will find the United Reformed Church on the Island to be your natural 'home'. St Andrew's, Glencrutchery Road, Douglas (on the left in our banner picture above), and Trinity, Waterloo Road, Ramsey (on the right above). St Andrew's service on Sunday is 11.00, Trinity 's is at 10.30. St Andrew's has an active Sunday School and a crèche is available. St Andrew's also runs regular Messy Church Sessions. Details of how to find each church can be found in their individual sections of this website. Messy Easter at St Andrew's; Saturday 13th April, 4 -6pm. Come and join us! 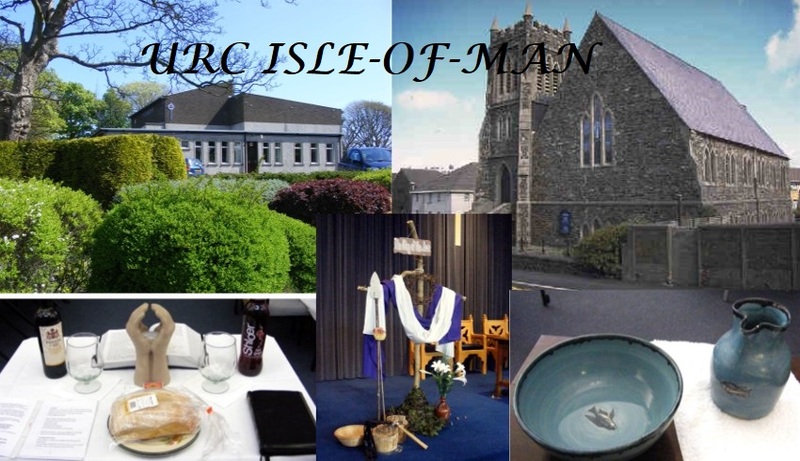 URC Isle of Man has a Facebook page; HERE IT IS. It is updated/added to more or less weekly and has a lot of pictures. St Andrew's Data Protection policy can be found here. St Andrew's and Trinity try hard to be a child-friendly Churches. Children of all ages are welcome to stay in Church for the whole service, but usually they leave during the service for activities more suitable for their ages. At St Andrew's Pre-school children have a crèche, with lots of toys. School age children have Sunday School. Trinity operate a Sunday school for the 5 to 11 age group, and crèche facilities are available if needed. On Holiday on the Island? Anyone visiting the Island is always very welcome to join either church for Sunday Worship. How to find us directions can be found for both churches in their own section. St Andrew's regularly have a Traidcraft stall in church, run by Mrs Margaret Walton.